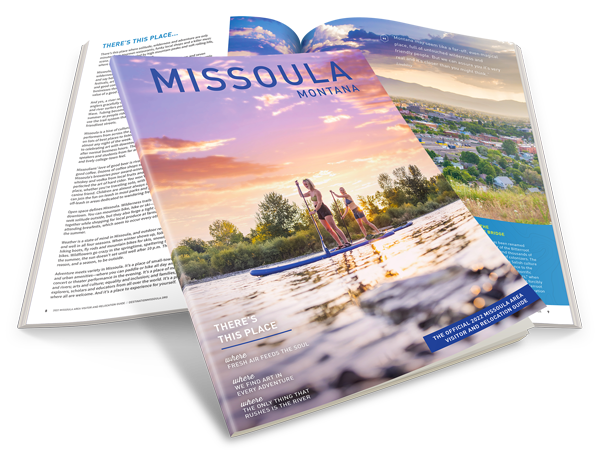 Missoula is a vibrant community with deep character, rich history, and diverse terrain. The city provides many opportunities for new businesses, families, and individuals seeking and incredible quality of life. Located in Western Montana, "The Garden City" is known for its friendly atmosphere and beautiful scenery. Missoula is the proud home of The University of Montana "Grizzlies". This business community supports and encourages families to consider our community for their children's education. We welcome you to Missoula and hope you have a wonderful stay! Please feel free to contact our office if we may be of assistance during your visit or move. We are located near downtown, next to the walking bridge on the edge of the Clark Fork. Our address is 825 East Front Street and we can be reached by phone at (406) 543-6623. Missoula is a culturally diverse area with limitless recreational opportunities and a rich history. We have numerous resources to assist you with your move and believe you will soon be ‘living like a local’ and appreciating all that Missoula has to offer. If you are planning on relocating a business to the area, or starting a new business when you arrive, the Chamber can provide you with all of the information you need including business formation, best practices, marketing tips and much more.